How ’Clean’ Is Your Home? Did you know that you probably have dangerous toxic solvents, carcinogenic sprays and gender-bending chemical cocktails in your kitchen cupboard and under your sink? And if you keep the following products next to your vegetables it could be a recipe for disaster. Studies by the WWF have shown that, on average, each of us is walking around contaminated by 27 different chemicals. Exposure to man-made chemicals has left us carrying pesticides, flame retardants and plastics in our bodies - many of which have been banned for decades. We all want to have clean homes, but not at the expense of our health. So bin the toxins and switch to safer products today. Most of these work by deadening our sense of smell so that the nasty one is still there - but we can’t smell it! Isobutane, butane and propane are the three most common hydrocarbon propellants used in aerosols. Inhaling these can aggravate all kinds of conditions, and may lead to central nervous system depression, headaches and asphyxia. Most air fresheners also contain alkyphenols (see mould sprays) and perfume. Some 95% of the chemicals used in fragrance and perfume are synthetic compounds derived from petroleum - 26 of which are on an EU hit list. Dichlorobenzene, a possible carcinogen, in air fresheners was the second most common chemical found in the blood of teenage Americans in one study. Artificial musks have been found in breast milk and body fat and may remain in the body indefinitely. Some have caused cancer in animals. Throw open windows and doors, or put half a lemon on a radiator instead. These contain sodium hypochlorite (which irritates and corrodes mucous membranes. Exposing the scalp to its vapours has led to alopecia) and Sodium Hydroxide ( a single exposure can severely burn the skin and damage eyes). Now labels even say not to mix bleach with other cleaning products. Pouring bleach down the the toilet with, say, an all-purpose cleaner would mix chlorine and ammonia to produce chloramine gas. Yes, the one used as a chemical weapon by the Nazis! The word has been out on these, and many are now banned. But new ones like glyphosphate (dubbed by the World Health Organisation, a ’Probable Carcinogen’) keep coming along. Surveys show that people working with pesticides are nine times more likely to contract cancer. Also check your cupboard for insecticides and herbicides and avoid pet flea collars, as every childhood cancer, from brain to leukaemia, increases dramatically (by four to 10 times) in risk in households where any of these are used - even more so if women are exposed during the final months of pregnancy. Althought not listed, the ingredients will include formaldehyde (which can be called more than 50 different names by manufacturers - often just preservative.) It has caused lung cancer in rats, is a declared ’probable human carcinogen’ and can damage DNA. Formaldehyde is used in most household cleaning products, as well as in new clothing, upholstery, carpets, and in plywood and chipboard. It is banned in Japan and Sweden. Alkyphenols are used in disinfectants, wood preservatives, paints and glues and may damage the hormone system. Triclosan (used in most antiseptic sprays and wipes) is a suspected carcinogen. Try mixing two teaspoons of tea tree oil with two cups of water in a spray bottle to attack mould and mildew. Like many of these products, ingredients are rarely listed but polishes contain hydrocarbon propellants (see air fresheners), perfume, ammonia (see glass cleaner) benzene and nitrobenzene (see VOCS box below). Mix half a cup of olive oil with half a cup of lemon juice, and use in a spray bottle on wooden surfaces before using a dry cloth to polish off. Silver polish often contains thiourea, a known animal and probable human, carcinogen. If you want to clean up your home - personal care, toiletry, cleaning products, detergents you might like to start by clicking HERE. Some say that they are kind to your hands, but most contain skin irritants Sodium Lauryl Sulfate (SLS) and Sodium Laureth Sulfate (SLES), which form carcinogenic nitrosamines. Other ingredients include, formaldehyde, proplylene glycol (cosmetic form of mineral oil), PEG ingredients, quaternium, alcohol, articial colours, fragrance, and triclosan. We all know how corrosive these are. The warnings are almost as large as those on cigarette packets - but do those work! Sodium hydroxide or potassium hydroxide are the main ingredients, and a single exposure to the alkaline corrosive agents can damage your eyes and leave you severely burnt. It takes ages to get rid of the smell of ammonia. These also mostly contain formaldehyde. A safer, sparklier alternative is using half a cup of white vinegar in a litre of warm water to clean windows, before buffing them with crumpled newspaper moistened with vinegar. 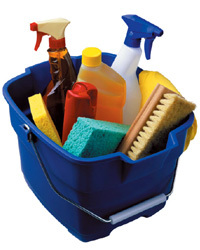 You can mix equal quantities of vinegar and water in a spray bottle as a general surface cleaner. These contain alkyphenols and toluene (a neurotoxin which can damage the liver, disrupt the endocrine system and cause asthma. Breathing high levels during pregnancy can result in children with birth defects See VOCS box below). Toluene is also in disinfectants, adhesives and nail polish. If a large amount is released in a confined space it can combine with oxygen to form benzaldehyde and creosol). 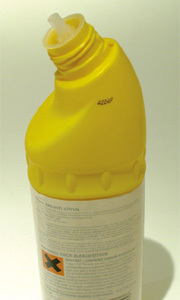 Methylene chloride (dichloromethane) is carcinogenic. It was widely used as a propellant. Although it has been removed from many aerosols, it can still be found in some spray paints and strippers. If a man has worked with spray paints, dye or pigments during his partner’s pregnancies - or if she has - the risks of their child having leukaemia are increased two-to-five-fold. Try water-based paints, varnishes and glues. 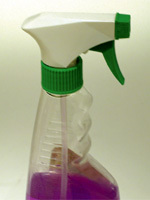 This is a mix of many potentially harmful ingredients, including one or more of the following: formaldehyde, (see mould spray), ammonia, ethylene glycol monobutyl acetate (used in most cleaning fluids, and has been shown in animal studies to affect the nervous system, as well as breaking down red blood cells - thereby affecting the liver and kidneys), sodium hypochlorite (see bleach) and trisodium phosphate. Try bicarbonate of soda for general cleaning. Use on a damp sponge for most surfaces, or add a little water to a tablespoonful of the powder and smear it on tough stains, leaving for 20 minutes before rinsing off. Use the powder dry to remove carpet stains. Concentrations of toxic chemicals can be much higher in our homes than outside, because indoor pollutants are not as easily dispersed or diluted as outdoor ones. An EPA (Environmental Protection Agency) study found that peak concentrations of 20 toxic compounds (some linked with cancer and birth defects) were 200 to 500 times higher inside some homes than outside. 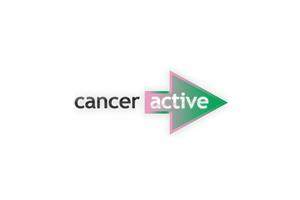 They have also shown that women working at home have a 55% increased risk of cancer over those going out to work. Long term exposure to indoor pollution can result in lung cancer or damage to the liver, kidneys and central nervous system. National Cancer Institute studies have linked non-Hodgkins lymphoma to exposure to solvents, oils and greases. VOCS include hundreds of man-made and even natural carbon-based agents including oestrogen mimics. Gases from many can pass through plastic containers, so don’t keep your veg under the sink next to your household cleaners. In very small amounts solvents can damage a developing foetus and should be avoided by pregnant women. Hormone and cancer expert Dr John Lee has said " It should be required by law that nail varnish labels contain warnings to pregnant women, and that beauty salons display warning signs in areas where nail varnish is applied and removed."